10 Worst Signings Of The Last 5 Premier League Seasons | The Transfer Tavern | Where football transfer rumours fly or die! Bad signings or bad judgement? I’m sure you’ll tell us which! Bought to replace fan-favourite Xabi Alonso, and being Rafa Benitez’s second choice transfer target after Gareth Barry, the Italian schemer was never going to have it easy at Anfield. Although clearly a gifted player – amassing 21 international caps – his chances were limited at Liverpool, and after playing under three managers during his time at the club, he made just 18 league appearances and was sent out on loan to Juventus and Milan, before being sold to Fiorentina. Being a former Liverpool and England legend and after having a respectable spell at Newcastle, who wouldn’t make an offer for the then free agent in 2009? An injury-hit few seasons at Old Trafford ensured that he rarely figured in the first team. Although he had a good scoring record in other competitions, he managed just five goals in the league. Poor old Roy Hodgson had an unfortunate short stint at Anfield, but it was not helped by signing below-average players such as left-back Konchesky, whom he bought from his former club Fulham. After 15 low-key league appearances, he was loaned out to Championship side Nottingham Forest. Leaving on a free transfer from neighbours United, The Citizens snapped up what they thought would be bargain signing. After Hargreaves’ infamous Youtube videos supposedly proving he was void of all his injury troubles and with City being stupidly rich, it was not much of a risk. However, after scoring on his debut in a Carling Cup tie and playing just one league game, more injury setbacks meant being released. He is now currently a free agent. Signed on a free transfer and with a good scoring record at former side Bordeaux, Arsene Wenger surely could not go wrong signing the Moroccan. After a decent start with Arsenal, his confidence and performances rapidly began to drop, with woeful finishing and scoring just eight times in 40 league games. Arsenal have tried to ship him off in the last couple of transfer windows, but with no serious offers, he stays at The Emirates for now, perhaps hoping for another chance in the first team. After a solid start to his career with boyhood club Newcastle, quite rightly there was a queue gathering for the young Geordie, but perhaps Liverpool went too far with their efforts on transfer deadline day by offering a staggering £35m – a record for an English player. 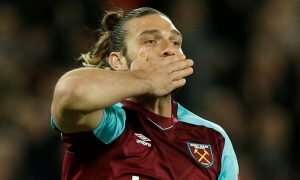 After a torrid first season at Anfield and now on loan at West Ham, will the tall striker ever be able to rejuvenate his career? Signing for a hefty £19m fee in 2008, the Brazil international found life very frustrating at City. Having arrived with big expectations, after leaving behind a good scoring record at CSKA Moscow, he instead mustered just 21 league appearances – scoring once – and spent spells on loan at Everton and Galatasaray. Now plying his trade back in his home country. Although cheered by most Chelsea fans, the Spaniard has become a laughing stock around the football world for his astronomically high transfer fee of £50m from Liverpool, topped off by his inability to score in front of goal. Although he has put in some decent performances, with his ridiculous price tag and scoring just 19 goals in 86 appearances for the club, El Nino has to be one of the all-time Premier League flops and high up on this list. The Middlesbrough-born winger, once mentioned as the answer to England’s left-midfield problem a few years back, has had decent spells playing for his home-town club as well as Aston Villa. However after Kenny Dalglish made an offer in the region of £18m for the 34-capped England international, his career stalled somewhat and he finished the 2011/12 season with fewer goals and assists than Everton goalkeeper Tim Howard – with 0 and 0 respectively – compared with the American’s one apiece. Ever wondered what happened to this Manchester United player? Having once starred in a homeless World Cup, his career has gone down hill really, football-wise, ever since. Recommended to Sir Alex Ferguson by trusted former assistant Carlos Queiroz and without the Scot even seeing the player play, United decided to sign Bebe for £7.4m. Fergie has made some bad signings in the past, but this one has to top them all. After struggling during a loan period at Besiktas, the Portugal U-21 winger is now rotting away in the reserves, seemingly happy just to receive his wage package, and as a result has made it to Number 1 on this list. Do you agree? Is there anyone else you think should have made the list?